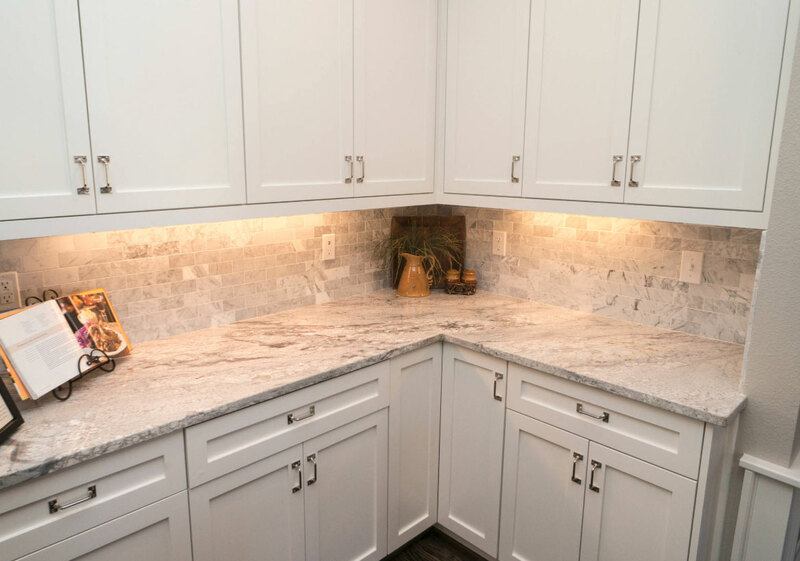 If you want to give your house or apartment a beautiful makeover, you should consider replacing the countertops with faux marble countertops. 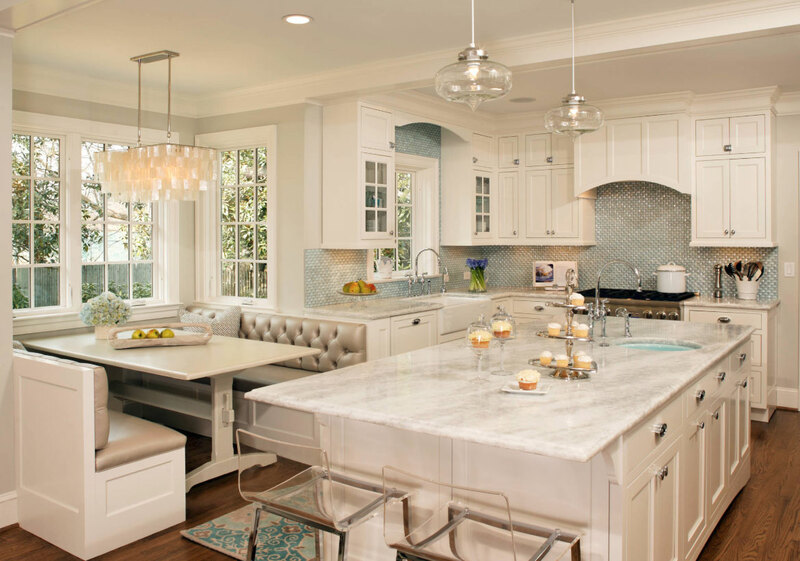 Granite that looks like marble, as well as quartz countertops that look like Carrara marble, are viable options for your countertops. These durable materials are affordable and easy to clean. 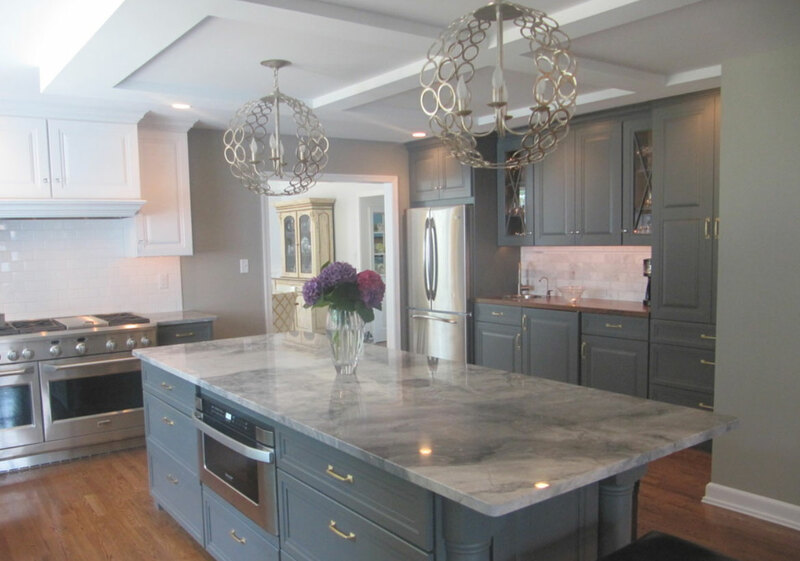 More and more people are investing in faux marble options to add beauty and character to their kitchens. It’s a great way to imitate the natural and pristine look of marble without having to spend money on real quarried stone. 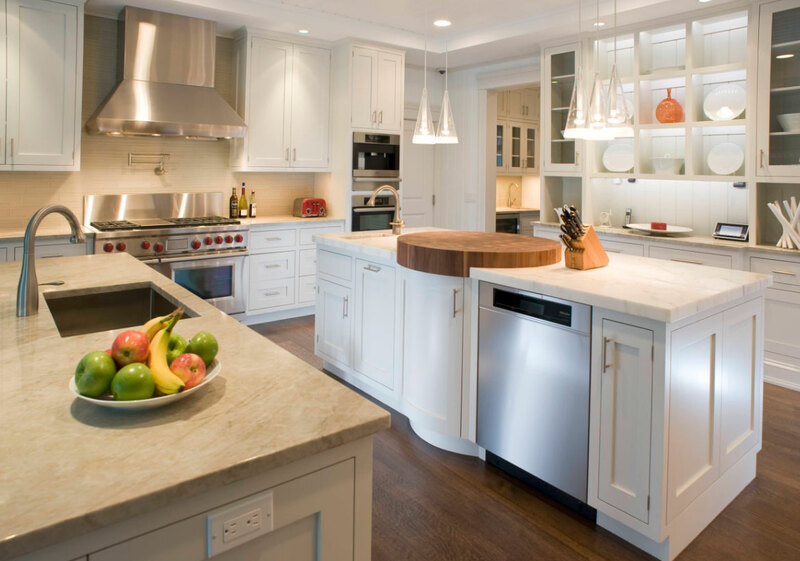 Countertops are a necessity in all kitchens, no matter how big or small. But just because they are a standard installation doesn’t mean they have to be boring, drab, or unflattering to the rest of your kitchen. 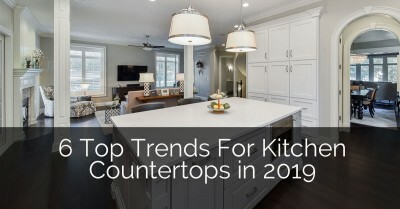 In fact, one of the most exciting parts of decorating a kitchen is deciding which patterns and veining options to apply to the countertops. One of the top material choices for homeowners across the globe is marble, but it isn’t always easy to come by. This high-end material is often costly, absorbent, and difficult to maintain. 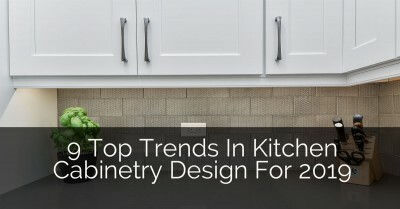 It’s becoming more and more of a trend for homeowners to desire some character and creativity with their countertops. 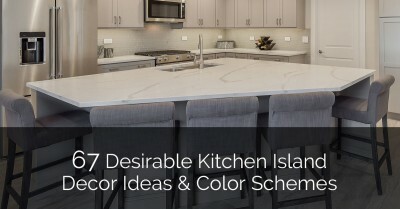 There are now a huge variety of veining and patterns to choose from, making each kitchen unique from the next. 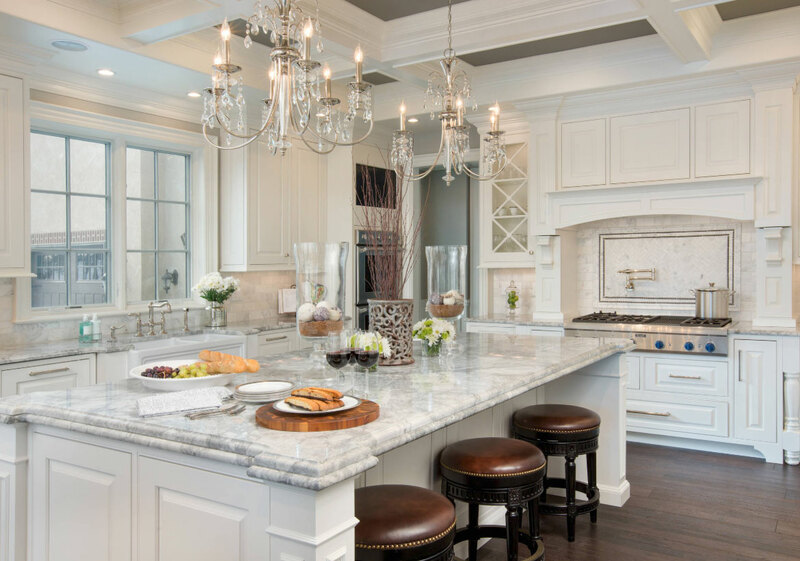 If you’re considering replacement of your countertops with new decorative pieces, check out the best forms of faux marble countertops on the market today. 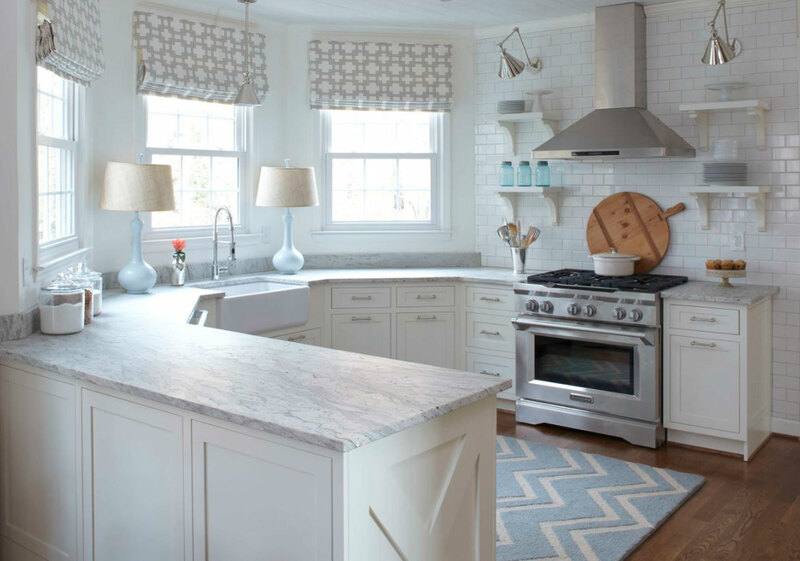 What Are Faux Marble Countertops? 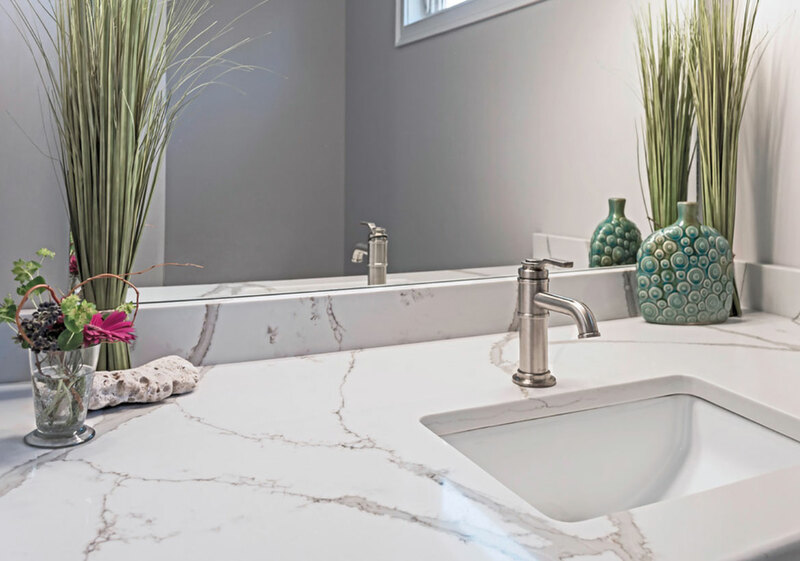 You don’t need to split hairs over the cost of gorgeous marble since there are plenty of other materials that can imitate the look just as well. Faux marble countertops describe the type of painting used to give the material a marbled look. 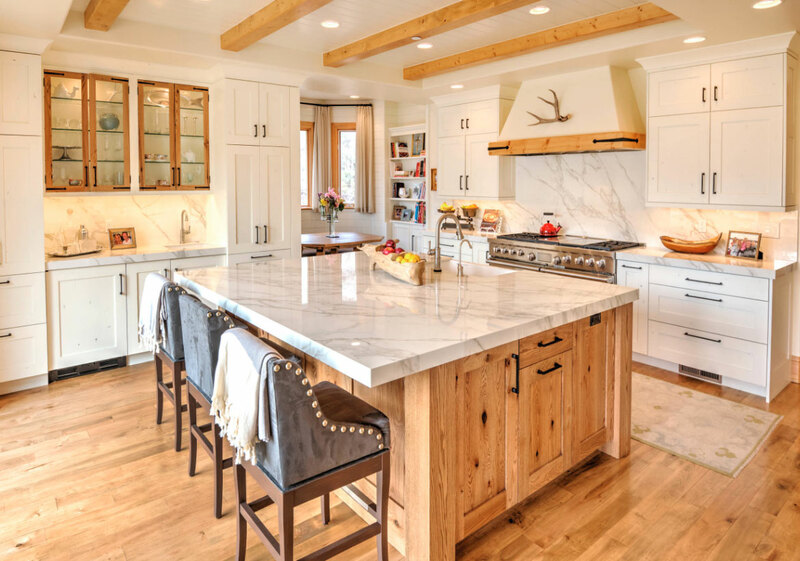 The most common materials used for faux marble countertops include granite and quartz, although many homeowners can have fun with a variety of other sturdy materials as well. 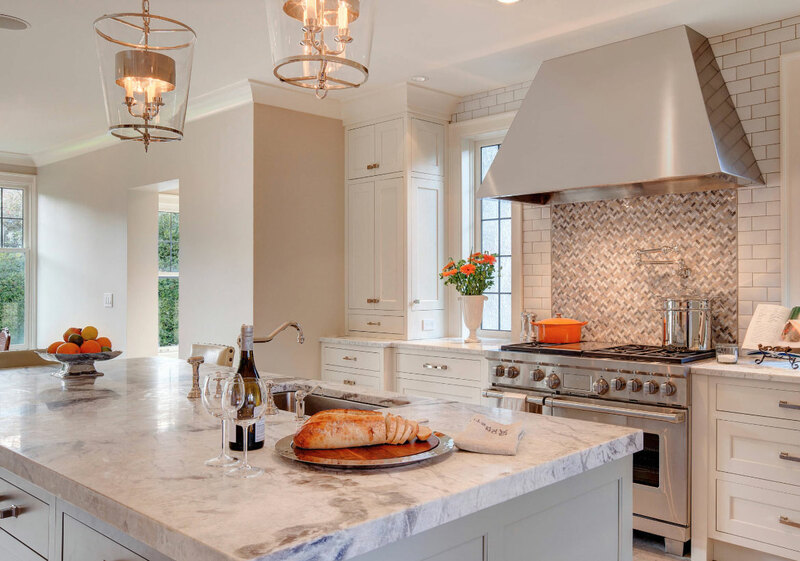 Having countertops made of granite that looks like marble is a popular addition to kitchens, especially since there is an assortment of patterns and veining options to choose from. Marble-look quartz countertops are just as popular. 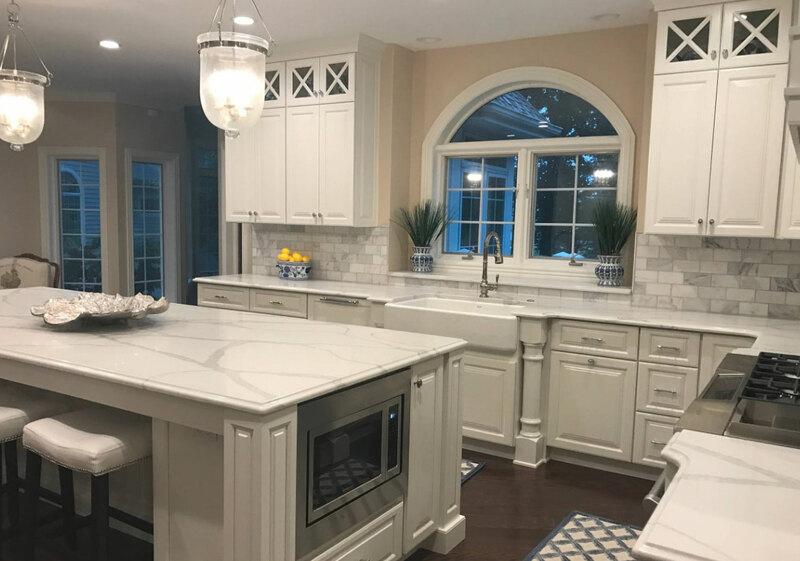 The painting process used on top of the quartz to imitate marble is what creates the faux marble look, and is desirable for homeowners all across the nation. 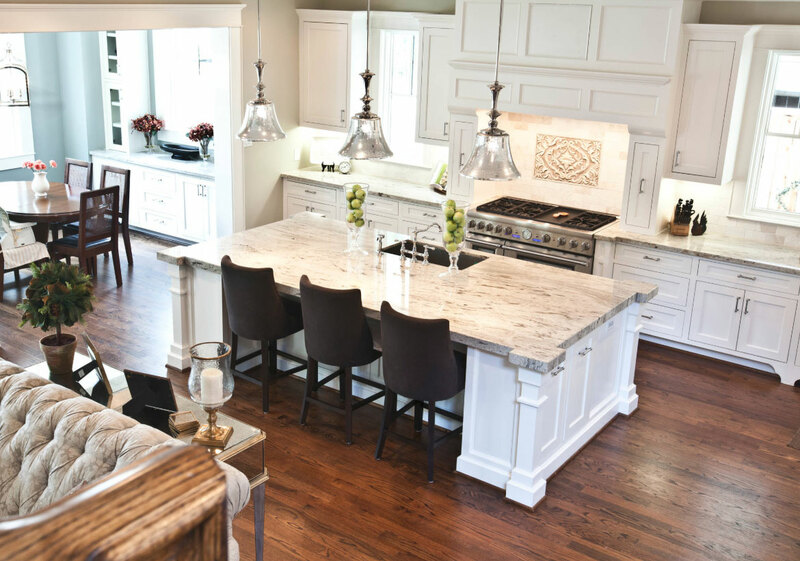 Quartz is a sturdy and durable material that makes for an array of stunningly gorgeous countertop options. 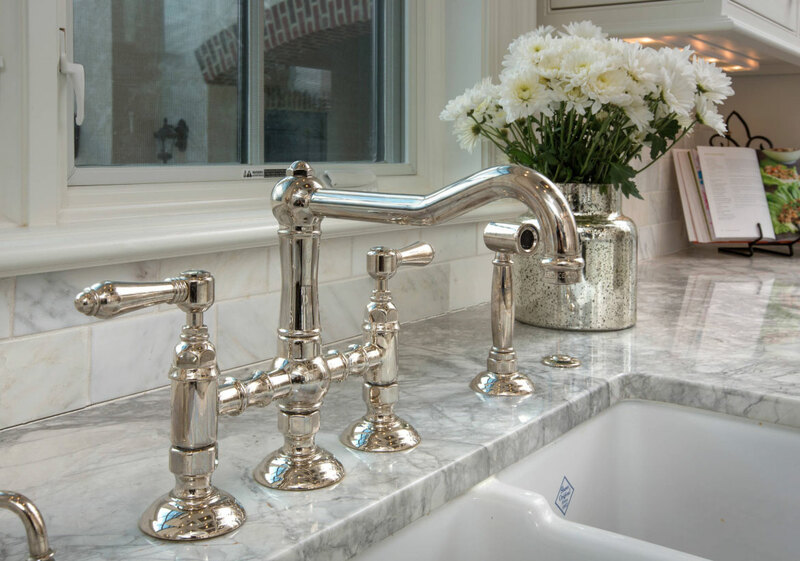 Carrara marble is one of the most popular marble options due to its depth, uniqueness, and color variety. Marble is famous for its pure-white look, but in reality, there is a much larger color palette than that. 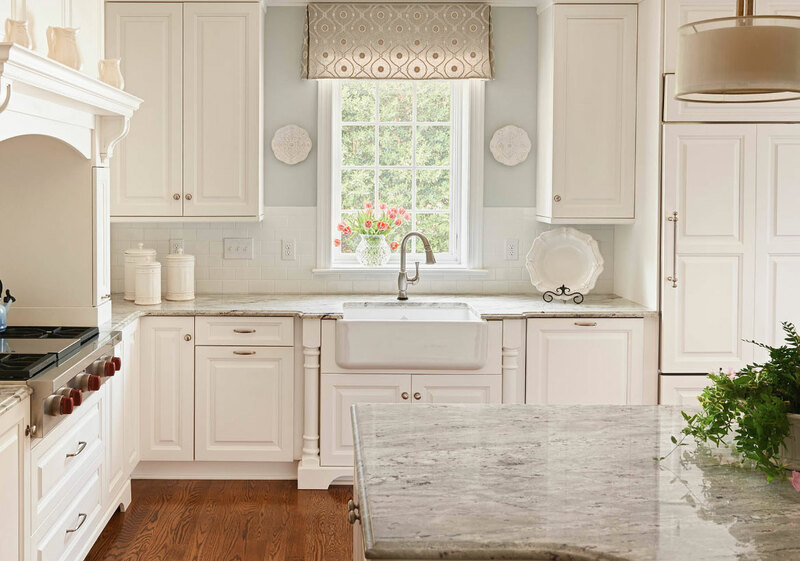 Those who love marble but don’t necessarily want a pure white countertop can invest in a quartz that looks like marble with a Carrara pattern. The off-white, gray, and even yellow-tinted hues contrast with beautiful gray veins to pay homage to the natural styles that are found deep within the earth. 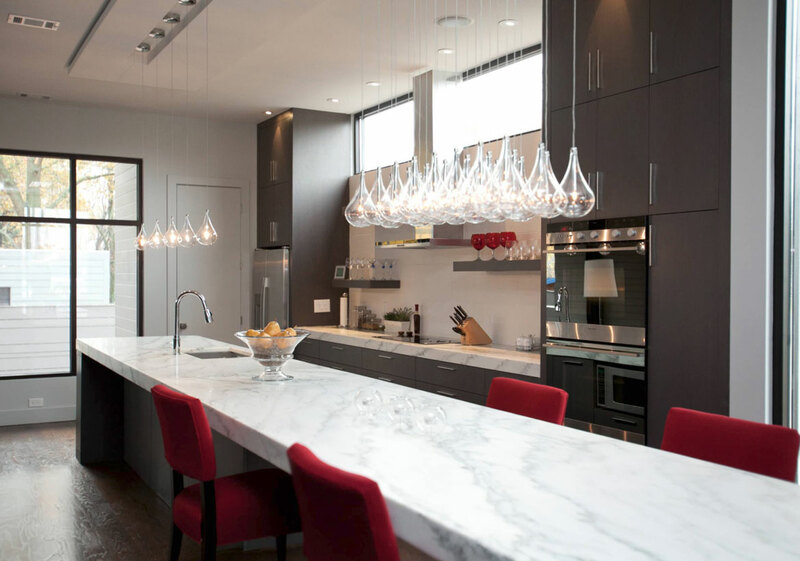 Quartz is a reliable material that can easily be finished or painted to look like marble. 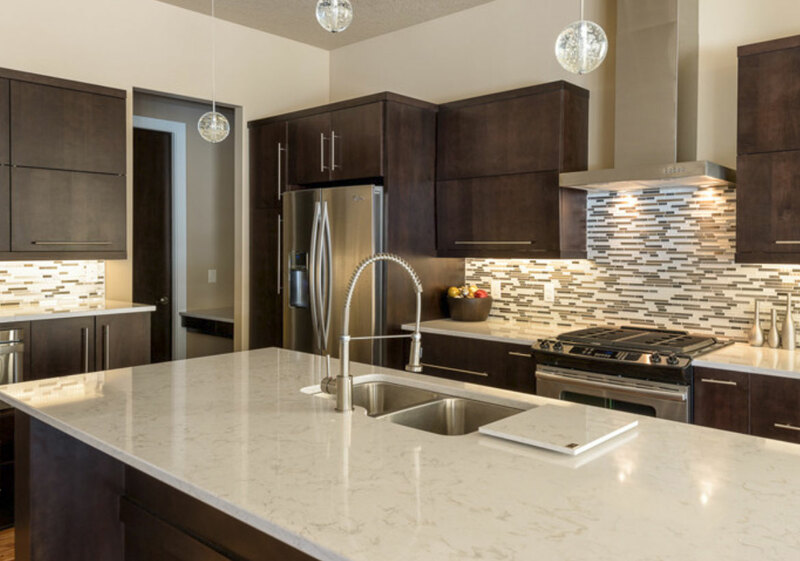 If you’re a fan of quartz, you’ll enjoy the bountiful marble-look options available to you. 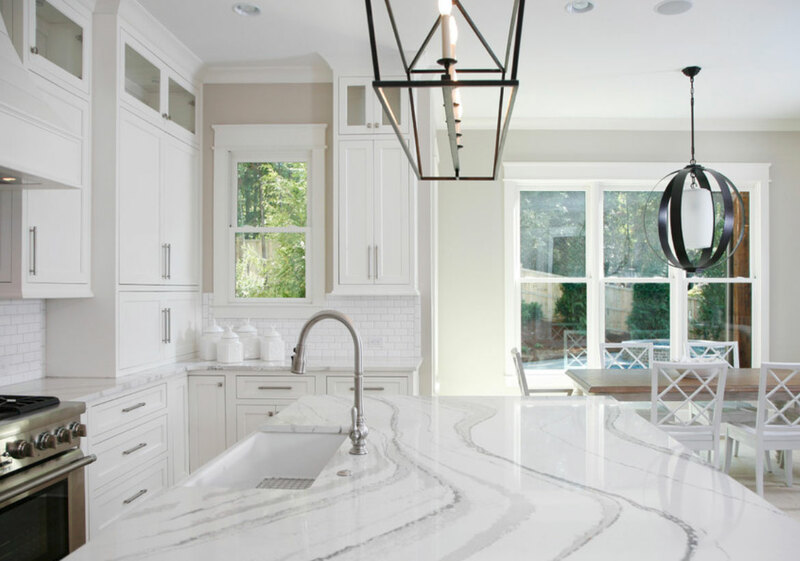 Marble itself can be expensive and hard to maintain, but when it comes to reliable and easy kitchen countertops, quartz is king. 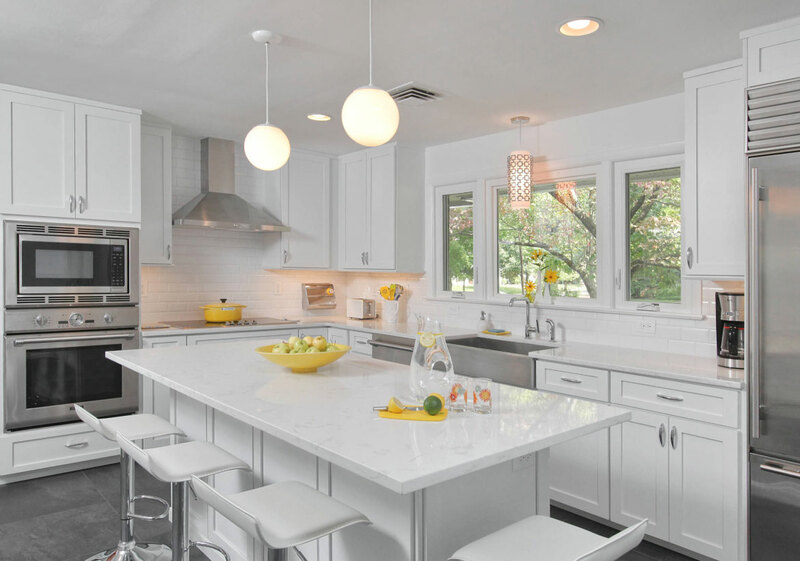 A white quartz countertop can be absolutely stunning. If you’re in the market for something that looks like pure white marble, you can enjoy some real options. 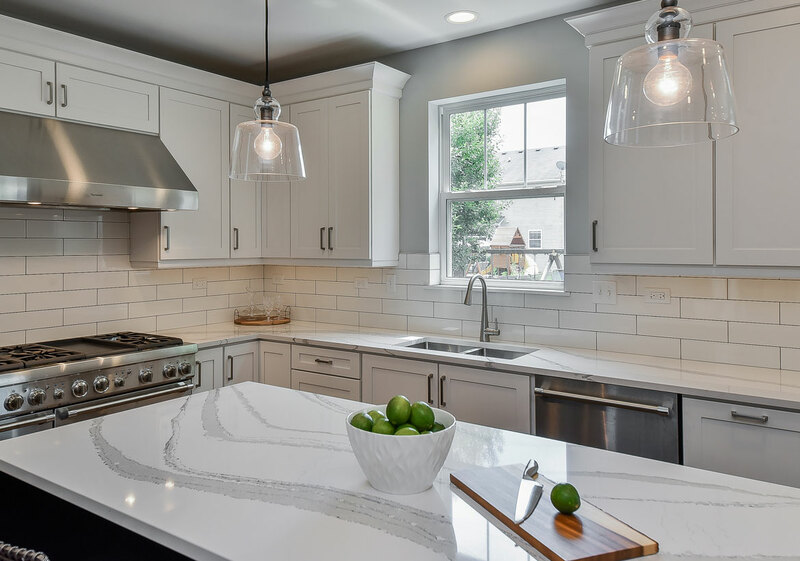 A popular choice, Calacatta Nuvo faux marble countertops are classy with white color, contrasted with little flecks of color here and there. 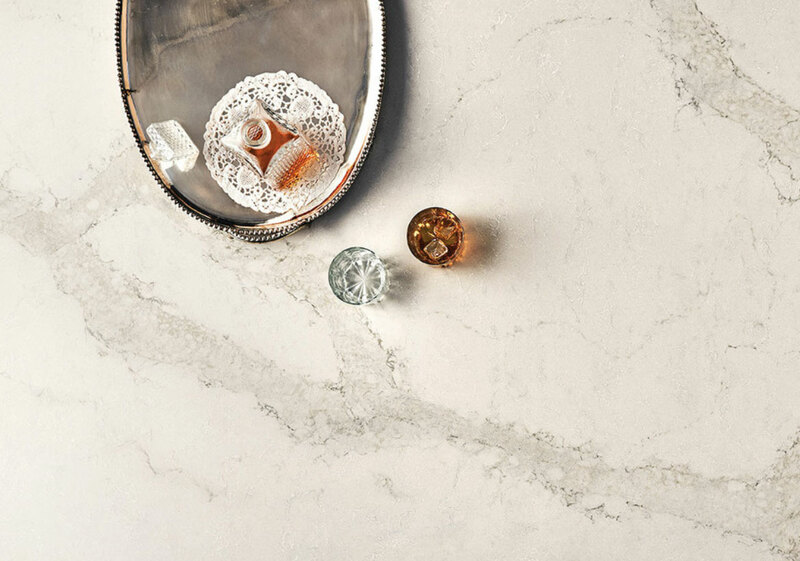 The deep veining options recreate a marble look that’s heavily sought after. 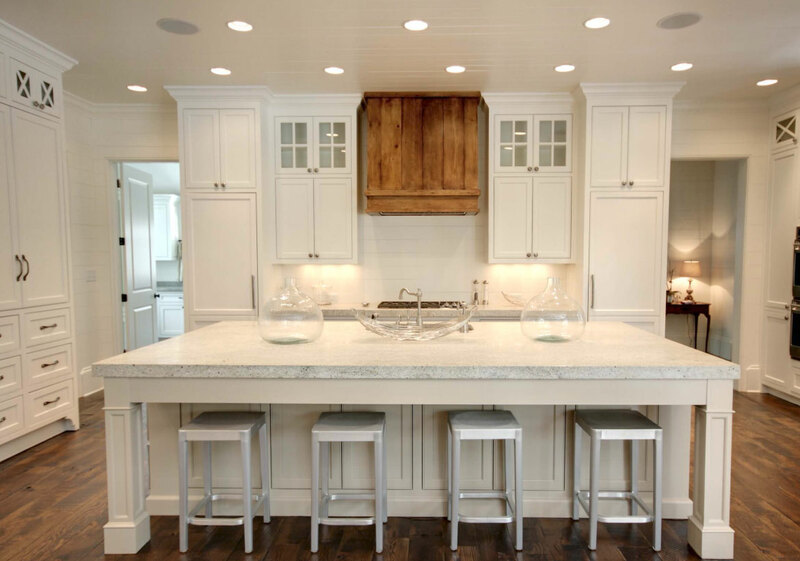 White quartz countertops that look like marble are some of the most popular quartz countertop choices today. 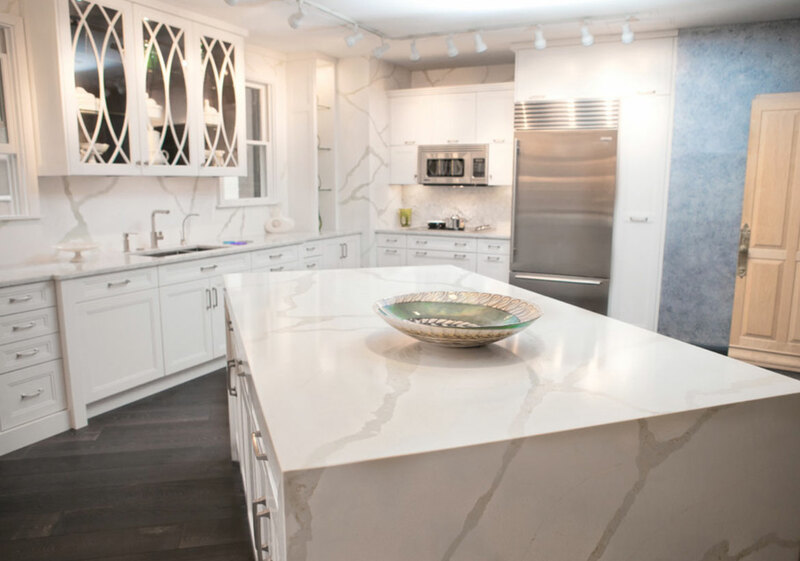 Calacatta Nuvo has a dramatic and bold marbled look. 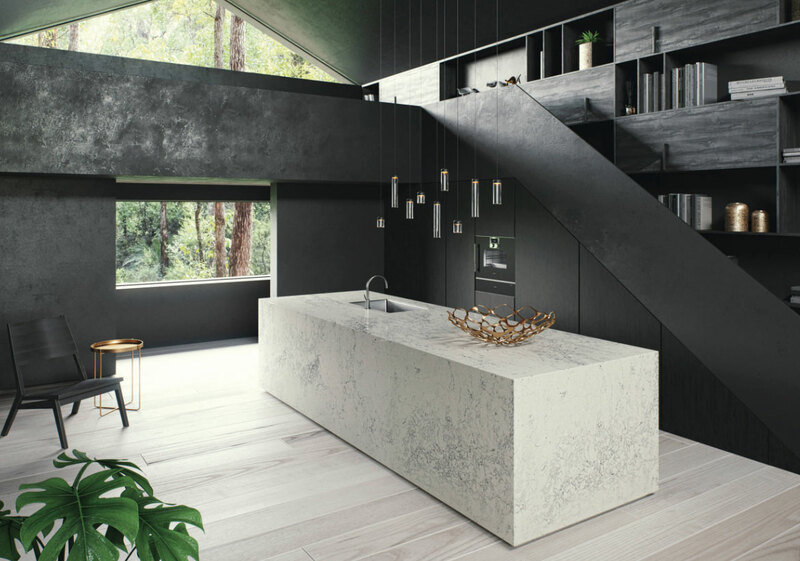 This is a beautiful and pristine quartz countertop that adds shadowy veins and deep streaks against a milky gray or snowy white. It heavily resembles natural marble, and many guests and neighbors can be easily fooled by the realistic look of a job well done. However, you are in the advantage not only because of how good it looks but also because of how little it costs when compared to real marble. Plus, the maintenance requirements are much lower than real marble, so you don’t have to worry about constant polishing, buffing, or cleaning spills. 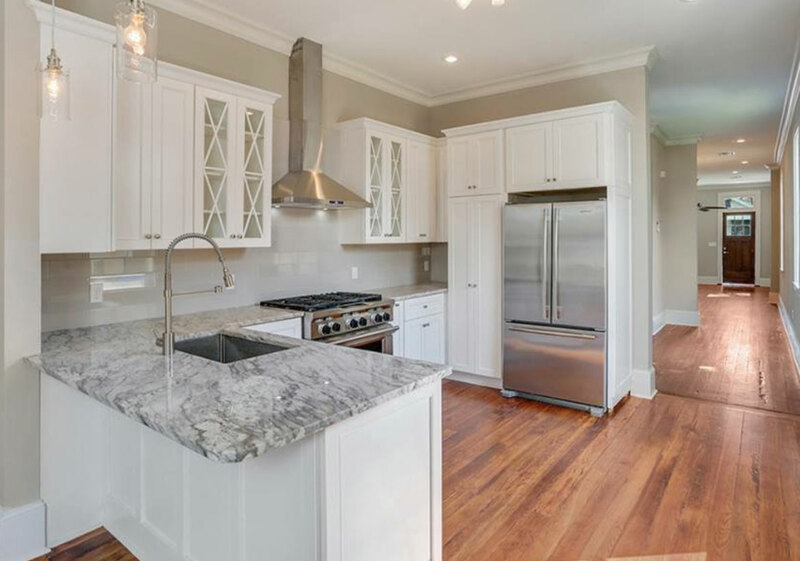 2″ Cambria Torquay with round butcher block on island & Cambria Cuddington on other countertops. 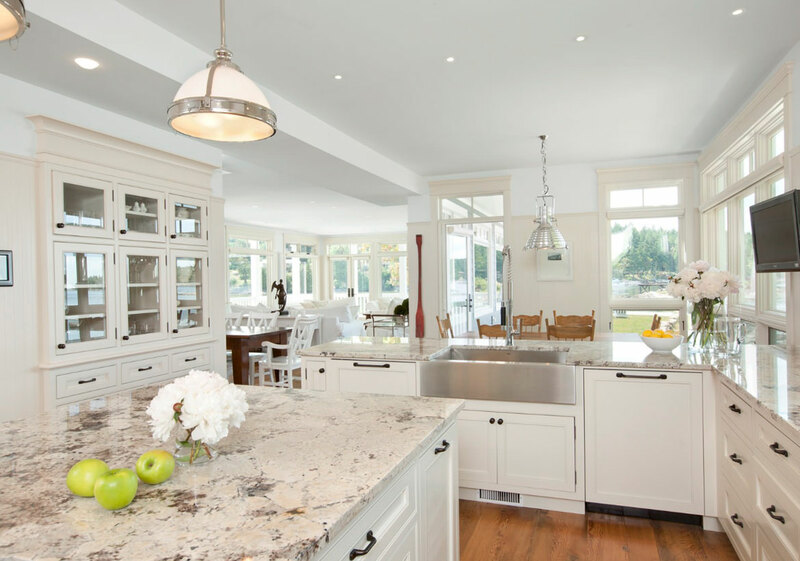 In comparison to quartz countertops, granite is another strong contender. 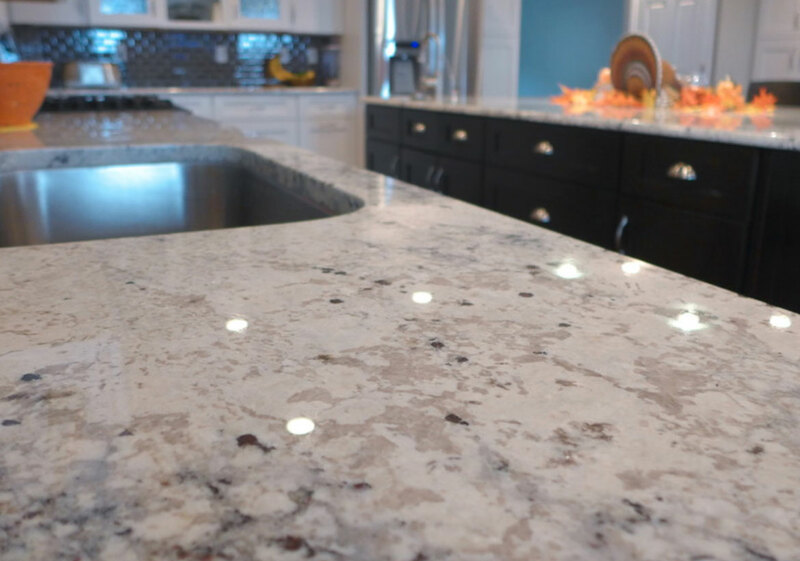 Granite has stood the test of time as a reliable and hardy countertop option with a display of its own patterns and options to boot. 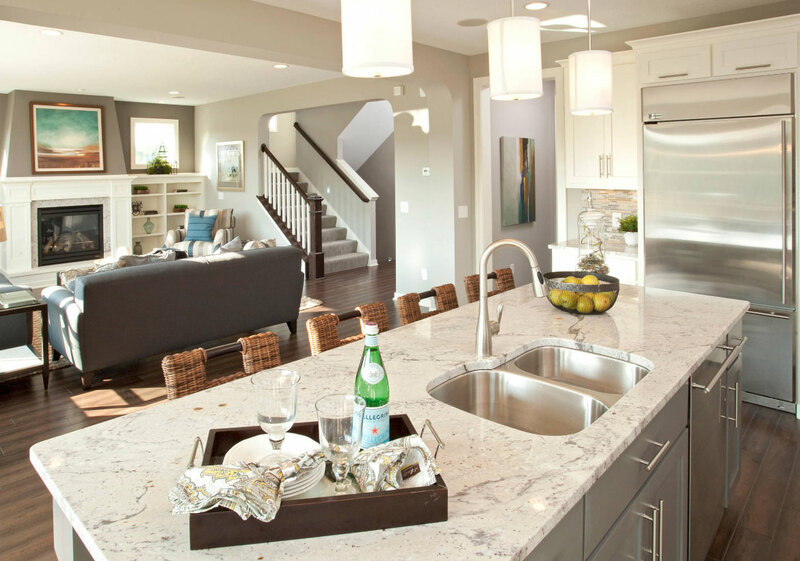 It creates a unique variety of countertop choices that a lot of homeowners are raving about. 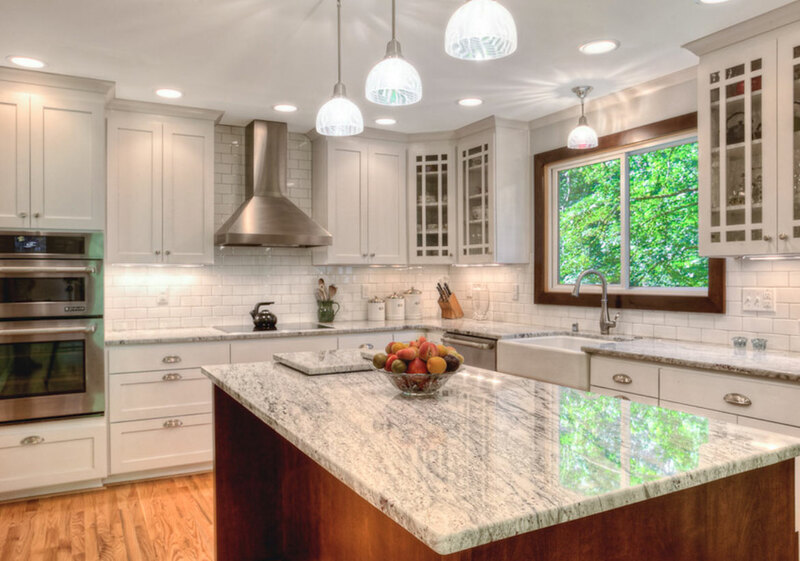 Granite is a gorgeous material that can be much more affordable than mined marble. 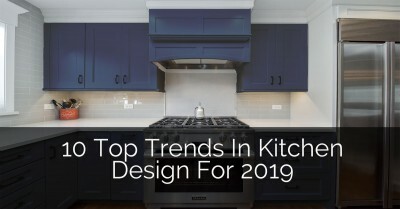 There’s no wonder why it’s a popular choice for those who are looking to build or redesign their kitchen. 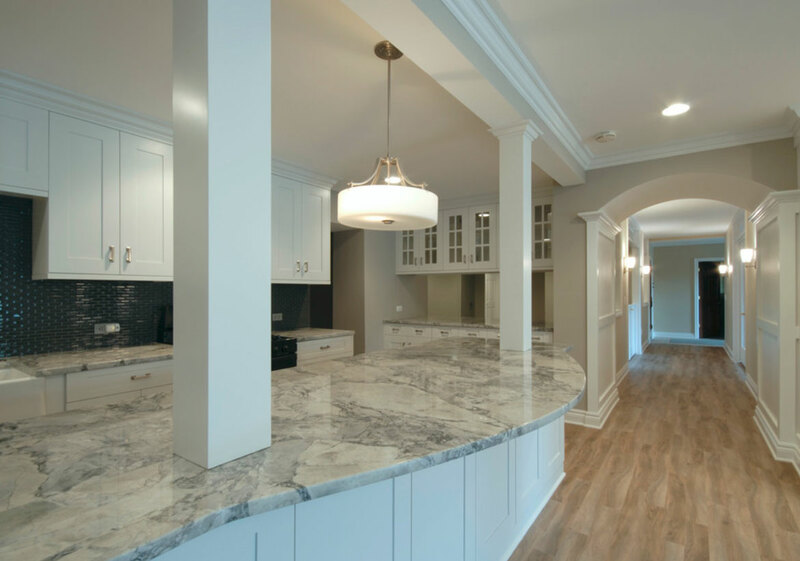 With granite, you can get the best of both worlds: A stunning marble-look without the heavy maintenance requirements that natural marble affords. 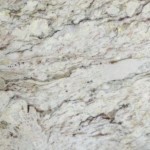 It’s difficult to narrow down the best options for granite that looks like Carrara marble. 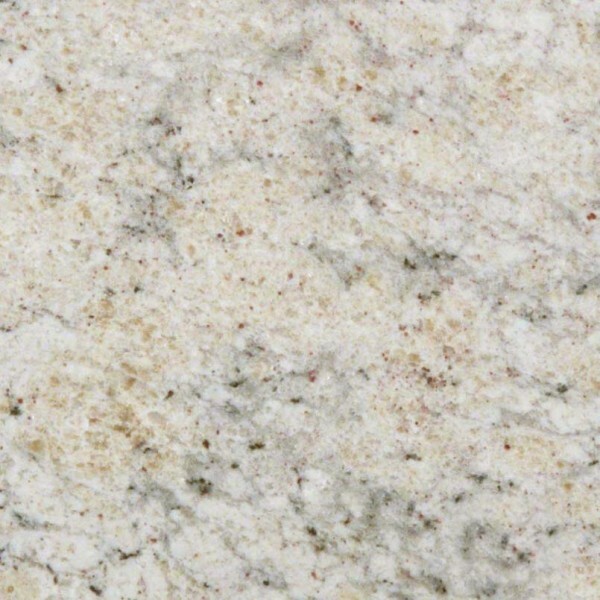 With natural whites, deep greys, and other wonderful hues, it’s no wonder why granite options reign supreme on the market. 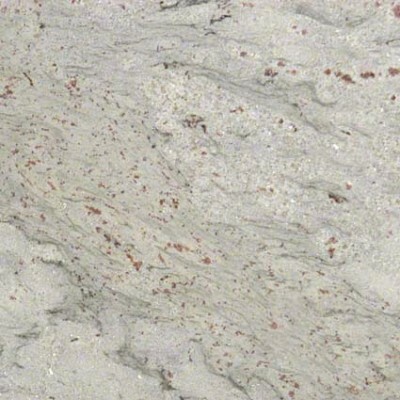 Many of these granite marble look options can be accompanied by soft, smoky grey veining, or are even contrasted with a stark, bold gray vein. 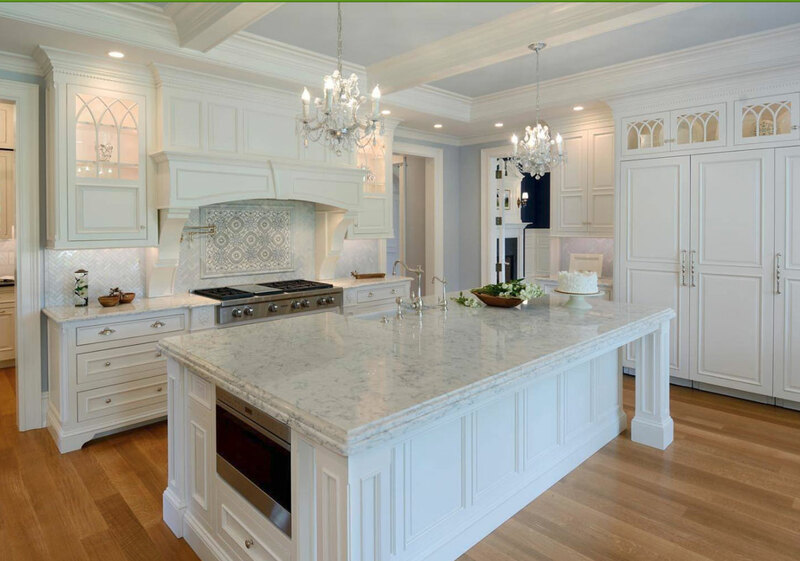 It is important to understand that the different types of faux Carrara marble have different maintenance and caution requirements. For example, Kasmir White is more prone to staining even with sealing, so you should be careful if you choose this option. Likewise, Bianco Romano has a tendency to stain easily, so make sure that you reinforce it with the best finishing products available. 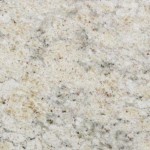 Below we’ll focus on some of the top granite contenders and then throw in some photo ideas of other granite colors to consider as well. Bianco Romano makes almost every list. It is described as icy with streaks of beige and grey. The one tip, because it has a tendency to stain–make sure to seal it well. 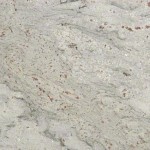 Glacier White is a popular choice for those who want to achieve heavy veining and unique patterns. 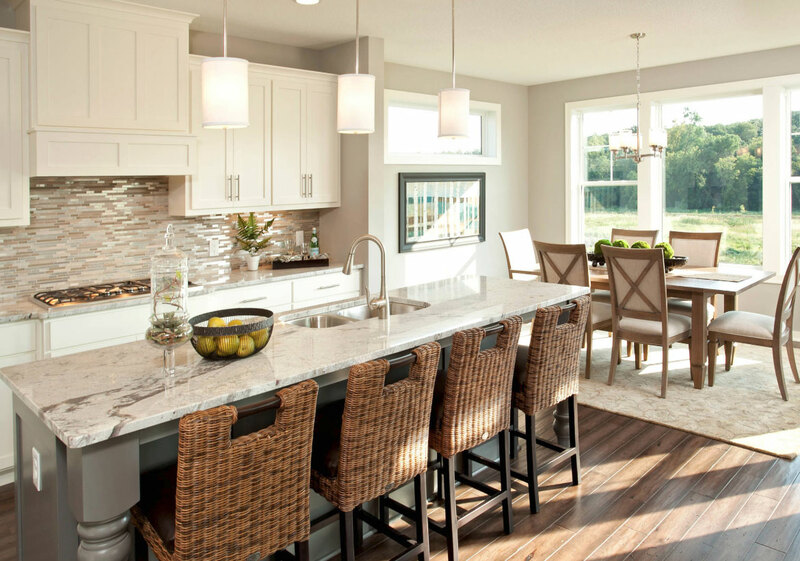 Many glacier options can be creamy and cool, with more white and beige colors to choose from. This is a good option for contrasting with dark wood countertops or even black cabinets underneath. 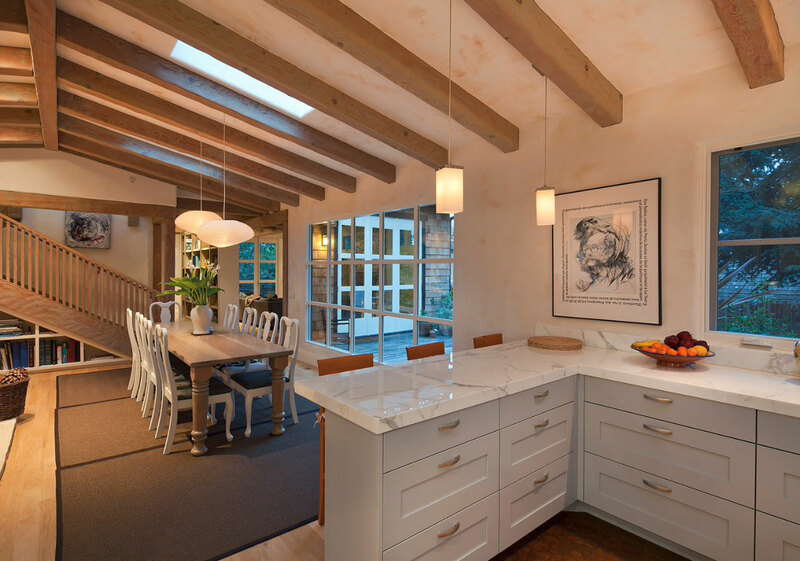 It works to bring out the vibrancy and brilliance that these high-quality faux countertops can offer. River White can include some great movement with low variations in its white and gray veining with small deep burgundy flecks. 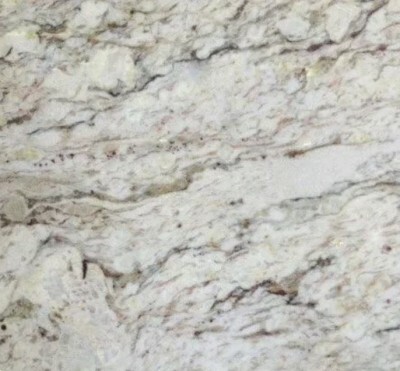 Casa Blanca has veining that can look similar to marble. Kasmir White can work too, however, it is known to be even more porous and susceptible to staining even with proper sealing. Because of the staining issue–it is not at the top of the recommendation list. 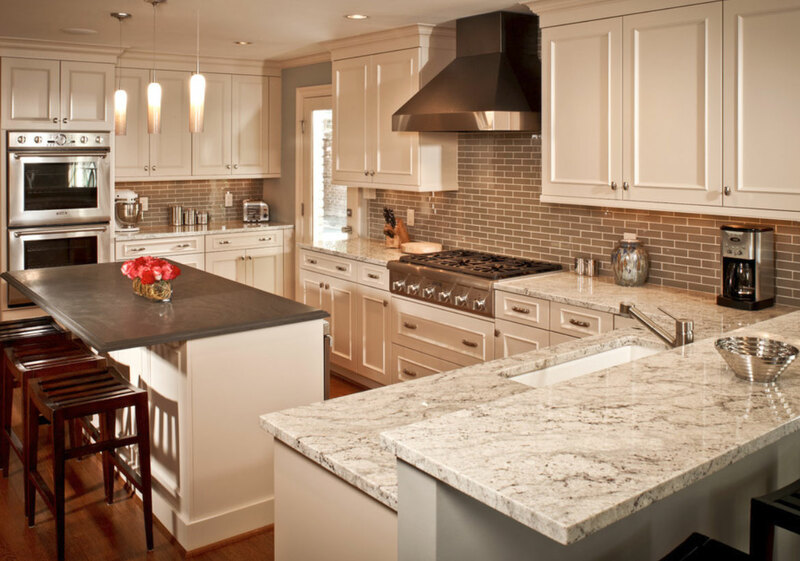 With granite, you can never go wrong. 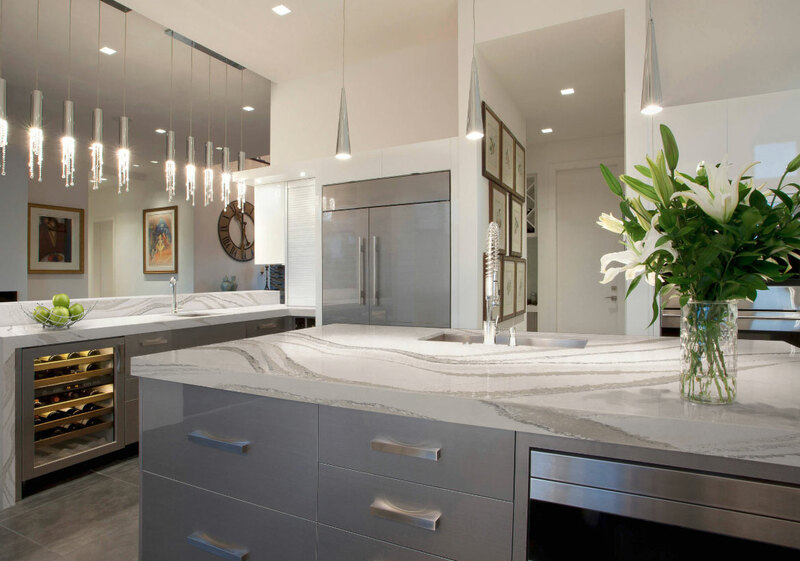 And if you happen to have some difficulty finding a reliable granite look, keep in mind that there are a multitude of quartz and quartzite countertops that look like marble to choose from as well. 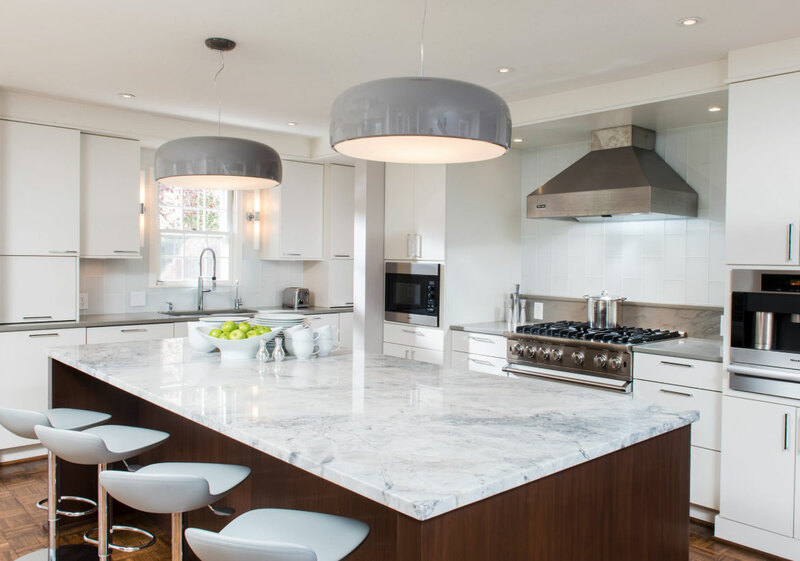 There is a quartzite material known as Super White, which is one of the most dazzling displays of white faux marble on the market today. It represents the greatest aspects of the splendor and beauty of marble, with the added durability and longevity of granite underneath. 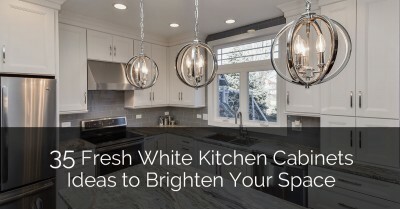 You can choose from milky whites to icy whites, to even some soft grays with accompanying veining choices to match. Another quartzite option is White Princess or White Fantasy, which is a soft and gorgeous marble look with heavy veining options. 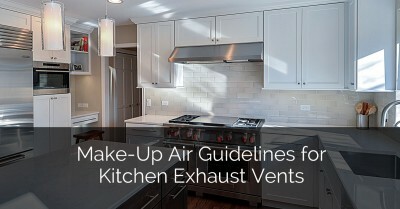 It often gives a smoky or hazy feel, which is perfect for kitchens with lots of open space to work with. Just note, White Fantasy is more prone to etching, meaning that you should be careful with how rough you treat it. 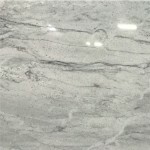 The brands and types of faux marble listed above are just a small sampling of the many types available to you. 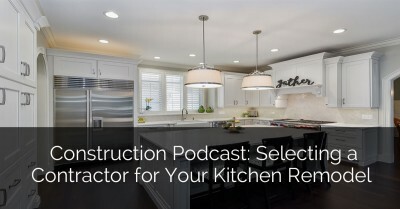 You can check your local countertop, hardware, or remodeling store to get a bigger glimpse of the choices available. 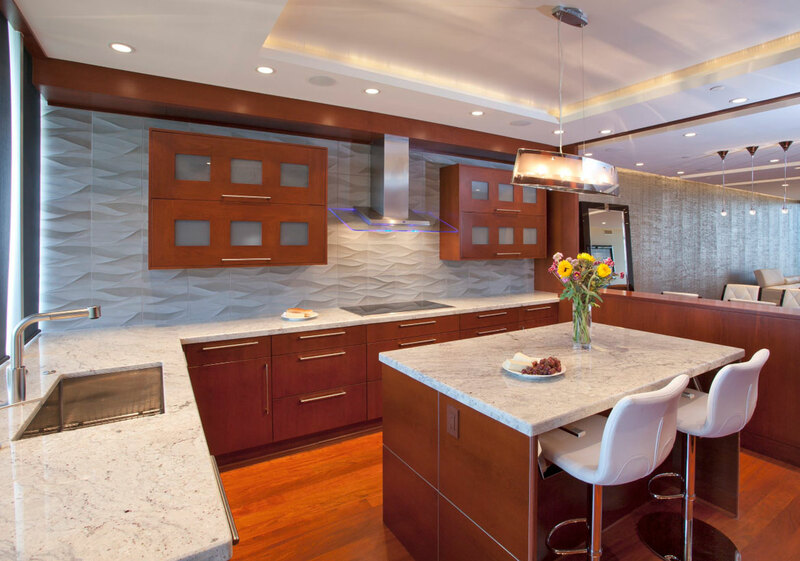 Between granite, quartz, and quartzite, there are countless patterns and veining customizations. 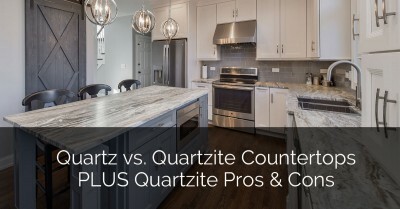 Both quartz and granite are reliable, durable, affordable, and low-maintenance materials for your countertops. 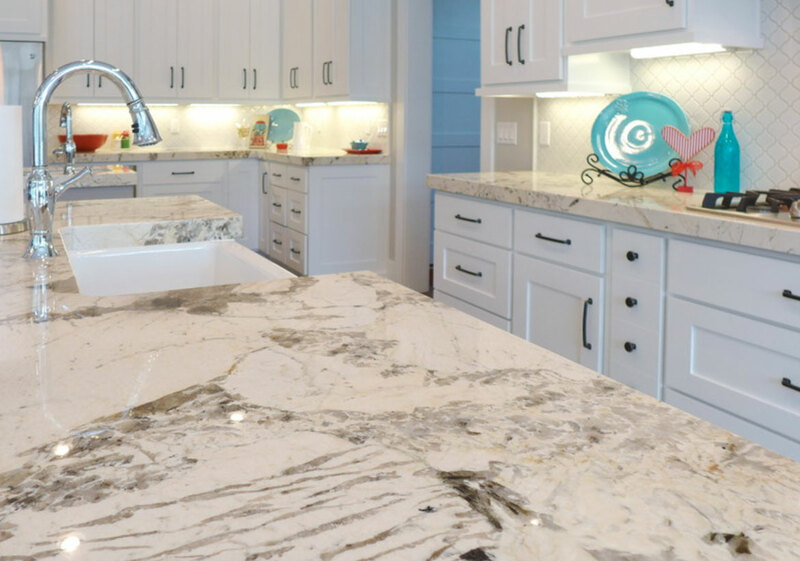 There’s a reason why quartz and granite rule the countertop industry; and now that a variety of technologies has allowed for the addition of faux marble finishes, choosing one of these materials becomes even easier. 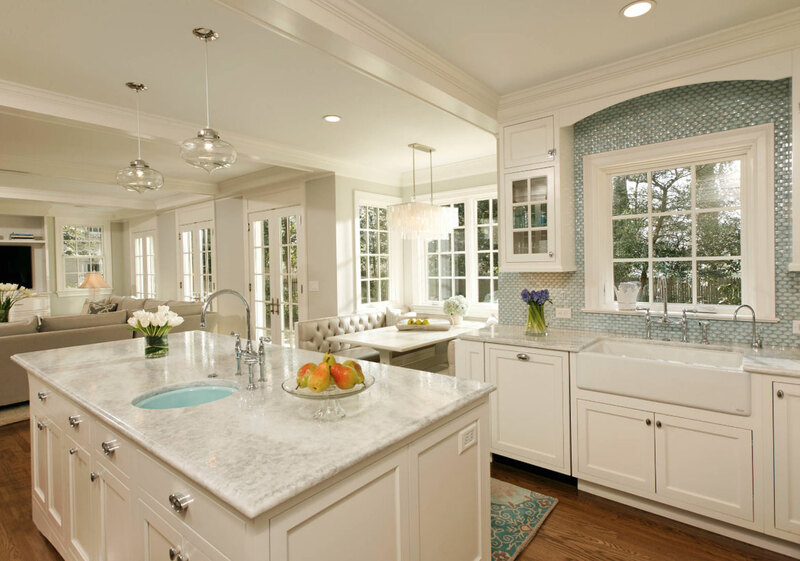 The next time you are thinking of building or remodeling your kitchen, consider faux marble countertops. 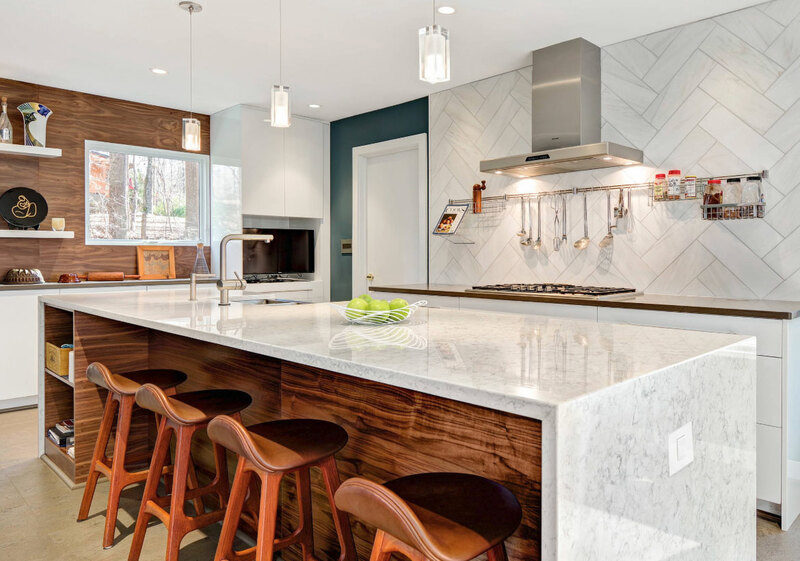 From pristine icy white with shadowy veining to deep grey, beige, and yellow-flecked hues; there’s a lot to choose from in the world of quartz and granite countertops that look like marble.